Stay: Bellagio is known as ‘’the pearl’’ of Lake Como and is without doubt the best town to stay when visiting. Bellagio has everything you need, quaint cobble stone streets, ivy covered buildings with terracotta roofs, local produce and shopping boutiques, water front restaurants and cafes, parks and lake access. Situated at the tip where the lake branches into two it offers an unprecedented view and outlook of the lake and neighbouring towns. Bellagio is very well connected by ferry, making it the perfect base to day trip to other towns. My favourite spot to sit and admire this breathtaking location is from the park at the end of Via Eugenio Vitali, in front of restaurant La Punta. Grab a couple of take away pizzas, a bottle of vino and sit back and take it all in. 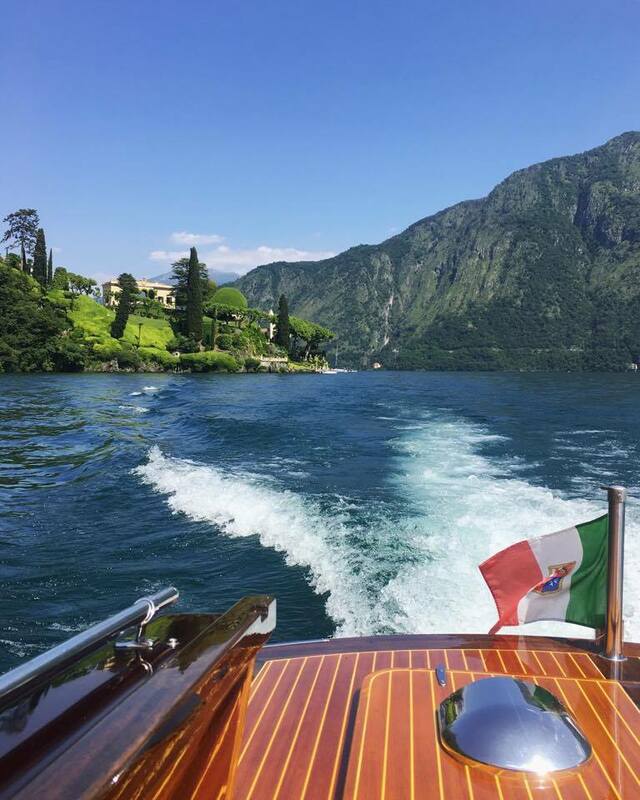 Tour: Bellagio Water Limousines is a third generation local business with a fleet of luxury hand crafted wooden boats offering a variety of tours departing from Bellagio Piazza Giuseppe Mazzini available for private tour or small group share. The 2.5 hour tour to Villa Balbianello was one of the highlights of our trip! You will climb aboard a vessel you would expect to find in a James Bond film. The tour begins with an introduction to the lake, the local guide sharing some of the lakes history and insight into the impressive water front villas. You are dropped by water at the entrance to Villa Balbianello where you are met by a private guide and taken on a tour of the remarkable villa and grounds before being returned to Bellagio. It is a truly memorable and photogenic experience. Day Trip: My favourite village we visited was Varenna. 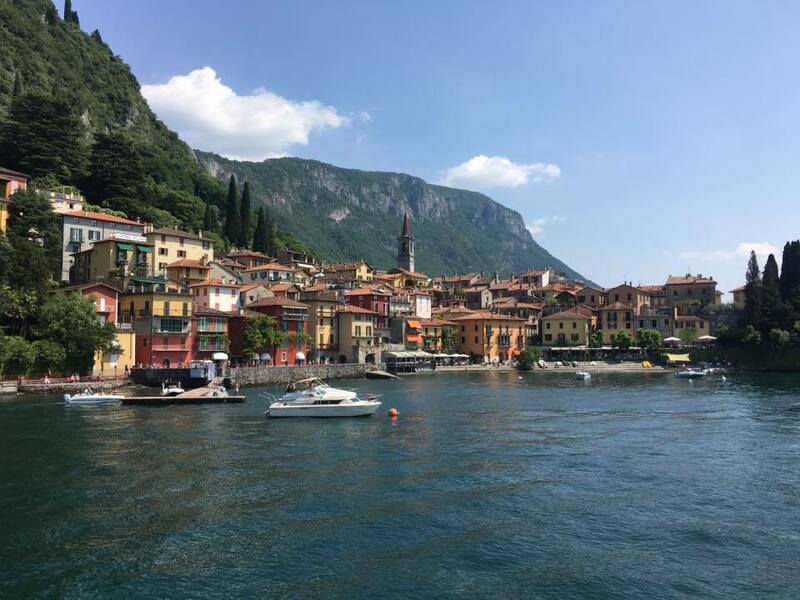 Located just a short ferry ride from Bellagio, the town is small and quaint. Enjoy an Aperol spritz and a pasta at Caffe Varenna, located along the water front. Its the perfect spot to people watch and enjoy the view. Stroll by foot through the higgledy piggledy cobble stone paths and hopefully like us you will stumble upon the little beach located in front of Hotel Royal Victoria. On a hot sunny day a swim in the lake is the perfect pit stop. Dine: Darlene Di Loppia is a small Mediterranean restaurant set under a beautiful greenery covered pergola overlooking Loppia hamlet by Villa Melzi. The setting is very pretty and the food and service outstanding. Located on the outskirts of Bellagio on the way to San Giovanni this hidden gem makes for a special local experience. We highly recommend the beef tartar with black truffle on a bed of burrata and the seafood risotto, despite its green appearance. Swim: We stumbled upon the perfect spot to enjoy the lake. Located off the main road in San Giovanni, a short distance from Bellagio. The grey pebble stone beach has a jetty and floating pontoon providing plenty of spots to bask in the sun. There is a rather cute beach shack offering drinks and snacks and hire of sun beds for 5 euros. We opted for a couple of Peroni’s out on the jetty. Many visit Lake Como and don’t swim in the lake, this is a mistake. A friend once told me ‘’swimming in the lake is like swimming in Evian water’’ and she was right (thanks Steph)!